On campus, the default policy is set to open PDF content inside the browser but you may have the disabled the setting on your profile. 1. If you are using Adobe Acrobat Reader DC or Adobe Reader XI to read PDFs then you can change it using the browser's plug-in manager. For advice on changing the PDF display setting see: https://helpx.adobe.com/acrobat/using/display-pdf-in-browser.html. 2. If you have an older version of Adobe Reader (X or earlier) then it may be set to display PDF content outside the browser. 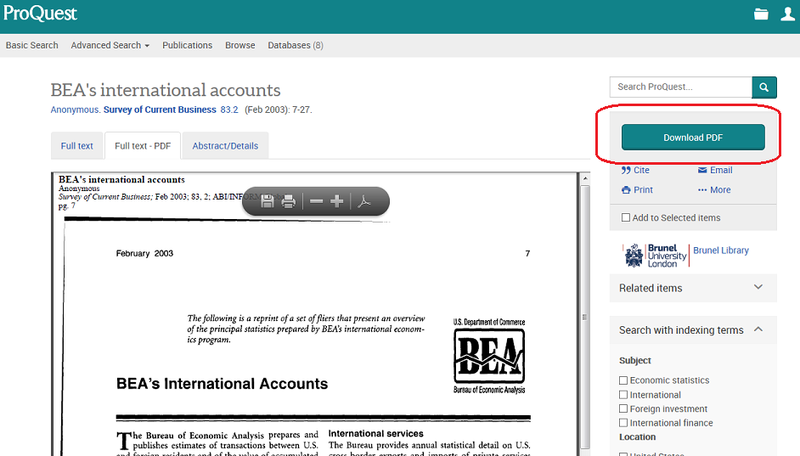 This means some databases like ProQuest's ABI/Inform will not display PDF content in the browser's PDF tab - you will only see an X in the top left corner of the frame where the PDF should be displayed (see first image below). We recommend that you update your PDF reader for security reasons, then manage the setting under step 1. (above). Alternatively select the Download PDF button on the right (see image below). 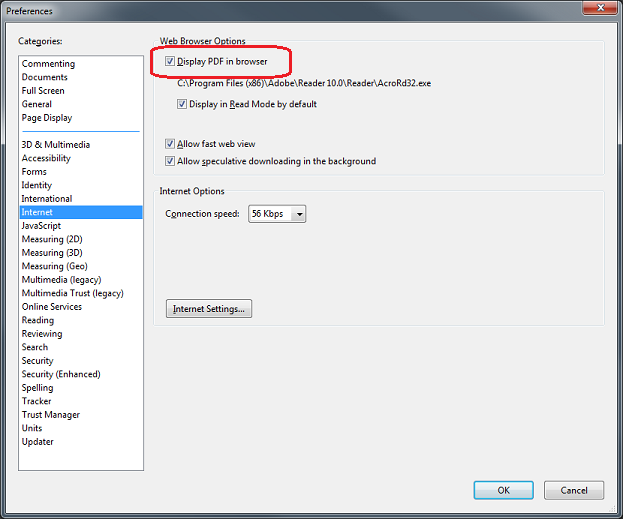 Or change Adobe Reader X's Internet preference to Display PDF in browser (see image below). When you have changed the preference and selected OK, close Adobe Reader to update the preference. You will need reload the web page (Ctrl-R) to display the PDF content (see image below). You may still download the PDF via the button on the right if you wish.